My go to method of getting free organic traffic is using SEO focused on Google the #1 search engine, but did you know that you can get a ton of traffic for affiliate marketing using Pinterest ? Pinterest is the 2nd largest search engine with 250 million active users per month during 2018, this is a huge increase from 150 million active users per month during 2016. With that many active users certainly you can siphon off a few hundred visitors a month, all you need to know is a few small tweaks to start getting more traffic to your website using images you pin to your boards. As you can see my boards have 20.4 k monthly views and 375 monthly engaged. These boards are less than 1 month old. The nice thing about Pins is that they have a life of around 6 months or longer. Lets say, if you were to post in Facebook or twitter you would be lucky to be seen for more than a few days. I am not going to get into setting up a Pinterest account, there are lots of good videos on YouTube that you can easily find. What I will show you is a few simple things you can do to get your pins seen and saved buy other Pinterest users . Pinning on regular schedule can great increase your traffic. There are services such as Buffer and Tailwind that you can use to schedule and manage your Pinterest boards. I prefer to actually visit Pinterest and be actively engaged. This way I have better control of what is Pinned to my boards and its free as well. Rich pins appear for validated sites only. You will need a business account which is simple to set up, you can easily switch a personal account to a business account. Validation does not happen automatically. You can apply to add rich pins from your own website after having the claim your website code entered and verified by Pinterest . The Easiest way to add the Pinterest meta tag code to your site. I use the WordPress Free Yoast SEO plugin, which includes a setting for adding a Pinterest meta tag. You can easily copy and paste the code from Pinterest into this Yoast setting and follow the promotes given to you by the plugin . Tip Use multiple images within a pin, because they get more engagement. posts and how to guides. You place multiple images into one, creating a single image that can be pinned. This also can be achieved using Canva, just choose the template and you are off to the races . So how do you design these Pinterest Pin images with text ? only takes a few minutes, and adding text to you image will make it standout from the crowd. Especially if you have sourced your website image for free from advanced google image search or similar platform . Write keyword-rich descriptions and boards. One helpful tool I use for finding Pinterest keywords is Pinterest itself, because it actually suggests popular keywords for you. Just take a look what happens when I type in the search bar the term “Dog Breeds”. Popular keywords “that don’t Shed”,” for apartments” and “lists” plus more show up. Lets say, if you add these tags or add them to your descriptions they will show up in the search results when people are searching Pinterest. BOOM you have a targeted visitor as long as you use terms relevant to your site. TIP Lets say, if you need a quick and easy way to add text to your description, select a bit of text from your post before clicking on the PIN button. I found that keeping my descriptions under 100 characters engaged my visitors more so than Pins with longer descriptions. I love affiliate marketing using Pinterest, free organic targeted traffic, who could ask for anything more valuable. 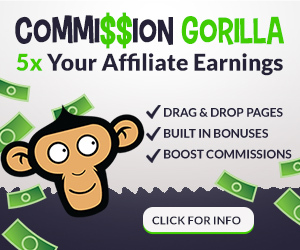 I also believe that I have come across the best affiliate marketing training available online , you can read my post here . Or give my page a share on Pinterest . Thanks for this information. I use Pinterest, but really don’t understand how to use it the way it is intended. Do you know of a YouTube video that would help me get started so that I can get a good visual while I try the tips you have suggested? I also plan to try using Canva and convert my account to a business one. I have a lot to learn, but if it brings me more traffic, then it will be worth it. I really appreciate you sharing this. My website really needs some help getting traffic to it. Hi Devara here is a You tube video of the best practices when using Pinterest , they talk about the general setup and how to be found .. This should help you have a better overview of the Pinterest platform . you may also want to take a look at Tailwind they have a 30 day free trial and their site is full of helpful tips for using Pinterest. Thank you for your comment!! Really interesting article! I had no idea that Pinterest had large of a user base! I’ve been meaning to sign up but must admit it has never been top of my list, armed with this new information I’ll make sure I sign up a bit quicker, as it sounds like I’m missing out on an opportunity for traffic! Hi Nate , yes Pinterest has huge potential to get very targeted traffic to your website or blog, plus using it can be kind of relaxing , all image based very little writing over than entering your pin description . Thanks for the tips Rick! You have no idea how timely this was for me. I’m just trying to get a handle on social media marketing and while I understand Facebook, Twitter and Google plus quite well, Pinterest is complete gibberish to me! Just a endless stream of pictures I have no idea how to take advantage of. Or who is behind the for that matter. I’ll implement your tips right away! Hi Jukka , use Pinterest you won’t regret it . I will be writing a post soon taking about how to properly write your pin description and another easy way to get keywords including monthly search volume , using this method you can increase your repins and traffic dramatically . Thank you for your comment !! Hi Rick, this is really good information for someone like me who is relatively new to Pinterest. I finally got my website “claimed”, but the traffic/views I didn’t know the direction to go…..you have made this quite simple. I do have a few questions though if you don’t mind. If you have more than 1 website can you add those to your same Pinterest account? “rich pins” – I’m not sure what you mean by this – do I create rich pins or find and save rich pins. Finally, the multiple picture pins – can you have a different link on each of the pictures or is it one link per pin? Hi Cathie , good questions , Rich Pins provide more context about an idea because they show extra information directly on a Pin. There are four types of Rich Pins: app, product, recipe and article. Access Pinterest here to add Rich Pins . As far as the multiple image pins , you can still only have one url for the Pin, Pinterest is offering a new feature they are calling Create a Carousel ,this button just showed up with a tag Early access beside, I think it must be in Beta and honestly I haven’t used it yet . I was planning to use the carousel feature in the next few days , I will update my post when I find out what it is all about . Thank you for your comment ! !